As Makers and suppliers of 3D Printers, parts and filaments here in South Africa, we have to admit that we’re addicted to printing in highly-abrasive materials. And despite the fact that nobody really enjoys the hassle of changing nozzles, we still believe that the amazing results you can get from Carbon Fiber, MetalFill and other Exotic Filaments far outweigh any negatives of the maintenance required to print the materials. This is why we’re so excited to get these specialised 0.4mm Micro Swiss 1.75mm E3D Nozzles, as they are specially designed with extreme-strength A2 Tool Steel, which has been heat-treated to 57-62 RC and plated with an extra coating of “TwinClad XT” Nickel Composite to offer ultra-low friction, impressive wear-resistance, as well as a surprisingly good looking aesthetic. 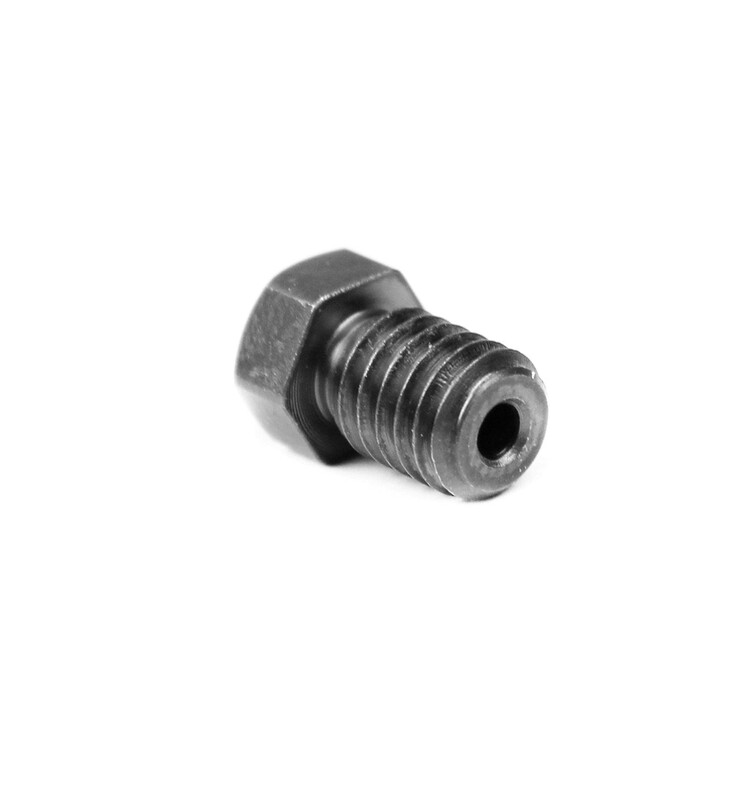 These 3D Printer Nozzles are made specifically to handle the extreme wear and corrosion of exotic polymers and materials like Glow-in-the-Dark, MetalFills and other 3D Filaments with highly abrasive characteristics. Note: This is a Micro Swiss Original Nozzle, supplied directly by the industry leaders in nozzle R&D and Production. This ensures premium quality and lasting durability, even when dealing with high-corrosion filaments like Carbon Fiber and MetalFill. 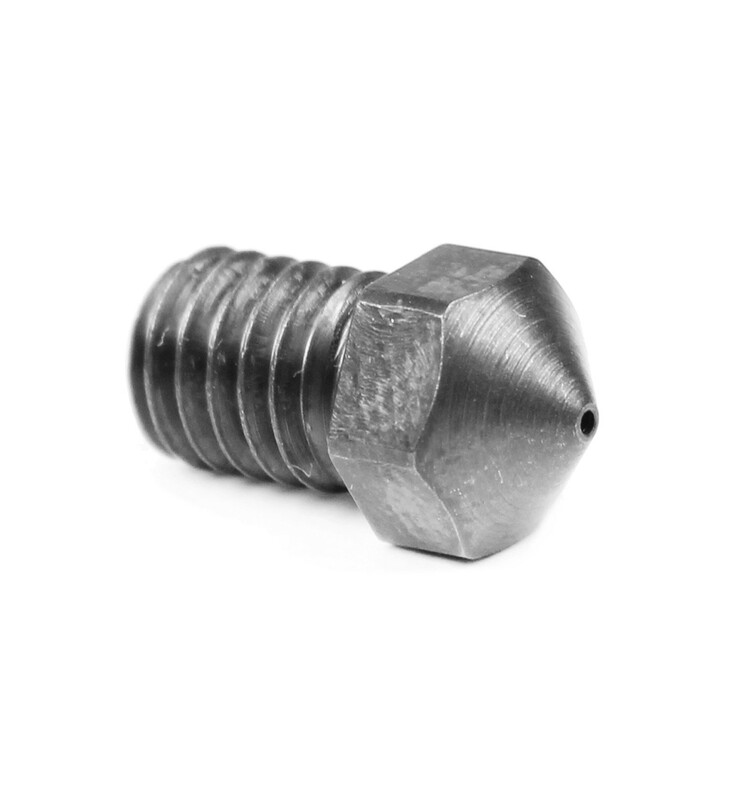 Thanks to the impressive durability and wear resistance, some users have reported that, while a typical brass nozzle would wear down after somewhere between 100g to 200g of carbon fiber filament, these A2 Tool Steel nozzles can withstand up to 10kg before needing to be changed. 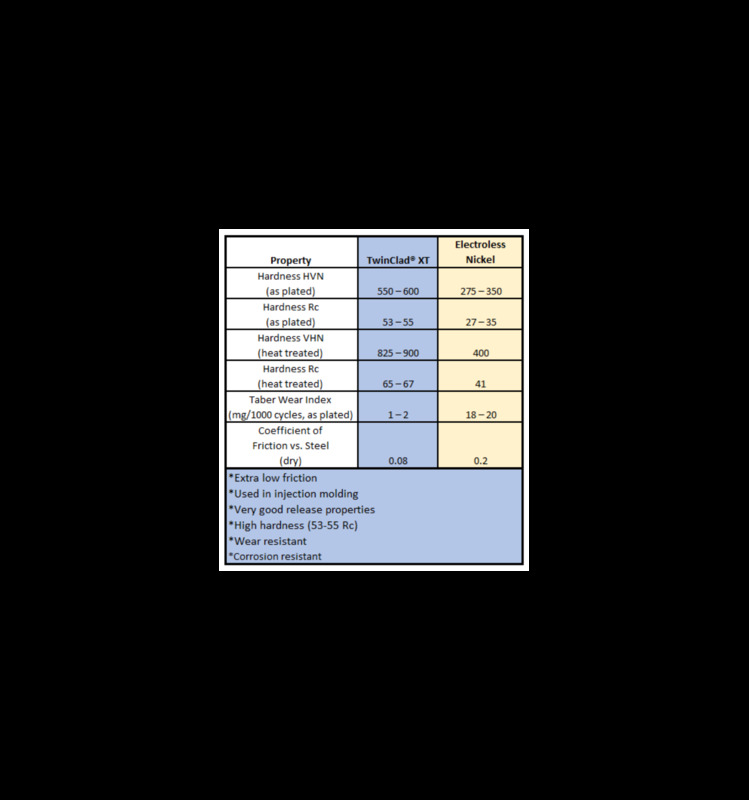 This is an incredible statistic that has driven so many Makers to upgrade from brass to more advanced materials, especially since these materials not only offer more consistent print quality over a long period, but can also save you the time and money that failed prints would typically cost. 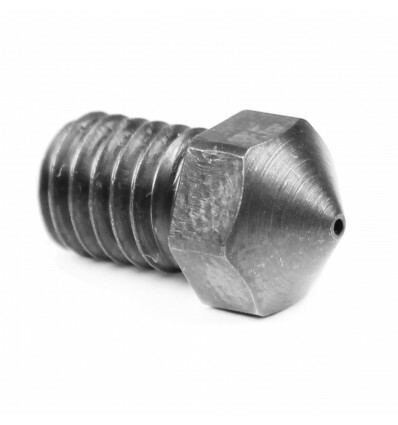 This is why they are the perfect choice when you plan on printing in abrasive filaments, as there are almost no other nozzles that can offer the genuine benefits of A2 Tool Steel, while still maintaining an affordable price. The reason for this is that aluminium heater blocks have a different coefficient of thermal expansion than the materials used in the nozzles and heat breaks. This results in a small gap being created between the nozzle and the break inside the block when the hot end is at temperature, but this only happens if the nozzle has been tightened while cold.